Identifying the Roofer problem early reduces the amount of damage, workload, replacement materials and overall cost of repair. So, make it a habit to check your house roofing for any necessary improvements needed. And don’t be afraid to ask help from the professionals because they know better when it comes to preventing the problem and letting you enjoy your roofing for decades. 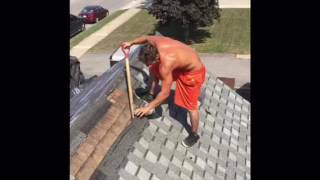 Roofer problems like, blisters, ridges, surface erosions and so on are problems resulting from irregular expansions and contractions in the roof. They start out small and are not viewed as much of a problem but they get bigger and create more problems such as cracking. Shrinkage results from uneven contraction in the roofing layers, which in turn affects the roof structure and such things as the flashing. Both blistering and shrinkage as well as a number of other problems could lead to cracking of the roofing material hence undermining its integrity.